This is the story of the Kitauji Music club and its members. With the introduction of a new club adviser, the story depicts the students' daily lives as they face challenges and obstacles. As the day of the competition arrives, the band members all engage in preparations for the upcoming event. Natsuki and Hazuki, along with the other non-performing band members, present to everyone their own personalized good luck charms; Haruka expresses her gratitude for the gesture before offering the band her own words of encouragement. Midori, sensing Kumiko's nervousness over her fear of failure, reassures her. At the concert hall, Mr. Taki reminds the band members that it was they who set the goal of making it to nationals before exhorting them to put on a spectacular performance. Shuichi, despite lingering romantic tensions with Kumiko, attempts to reconcile with her; Kumiko responds positively with a fist bump. During the performance, Kumiko reminisces back on her junior high days and admits that despite having wished to go to nationals before, she never thought it a serious goal until now. When the results are announced, the band celebrates their victory while an overjoyed Reina tearfully hugs Kumiko. 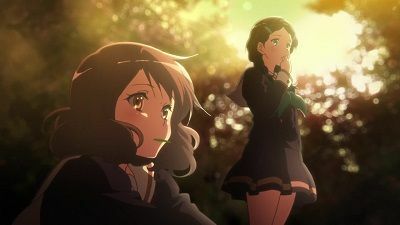 With the competition over and the third-years graduating, Kumiko is left to sort through her feelings: Is it a love of concert band, of the euphonium, or of something else? Only three schools will be selected at the Kansai Concert Band Competition to compete in the Nationals. 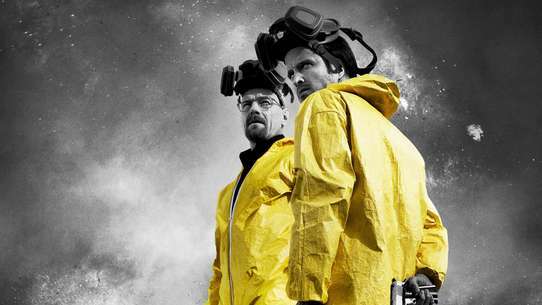 Will Kitauji High School be one of them? 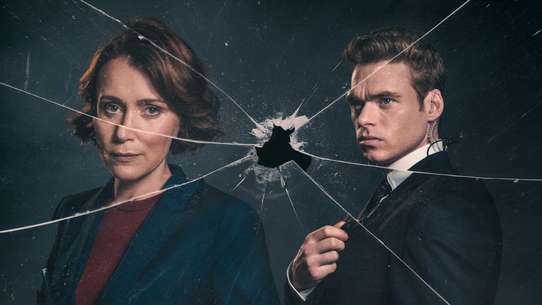 Kumiko denies being romantically involved with Shuichi, much to the relief of both Hazuki and Midori. On their way home from school, Shuichi asks a shocked Kumiko to go to the Agata Festival with him, to which she does not reply. 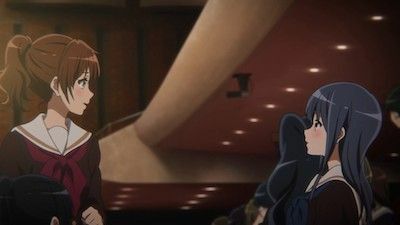 During practice, Kumiko's attempts to ignore Shuichi fail when he misinterprets her actions as an opening to talk; Kumiko's attempt to deflect his invitation inadvertently causes her to ask Reina to go instead. With Kumiko's encouragement, Hazuki asks Shuichi to go with her. 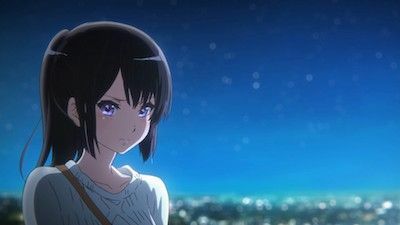 At the festival, Hazuki confesses her feelings but is rejected. 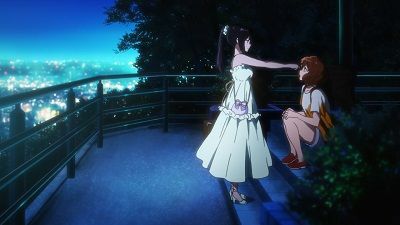 Meanwhile, Reina invites Kumiko to hike with her to several shrines overlooking the city, avoiding the festival altogether. 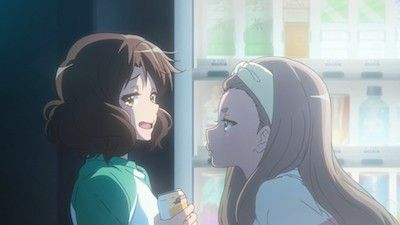 Reina divulges her interest in spending more time with Kumiko, stating that she finds Kumiko's true personality—nothing like the "nice girl" she presents herself as—attractive. Reina reveals that she has no interest in fitting in, but rather wants to be something special, which is why she plays the trumpet. 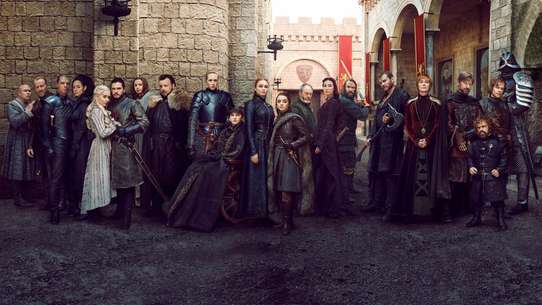 The day ends with the two of them playing a piece from their middle school concert band repertoire atop the mountain, leading into the day of the auditions. The band prepares for its upcoming performance at SunFes as uniforms are handed out and the students are drilled on how to march in unison. 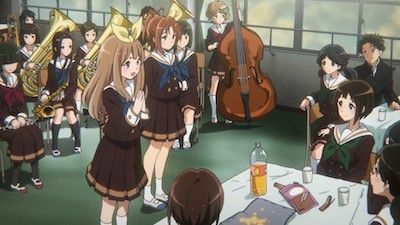 Natsuki Nakagawa, a second-year in the bass section, reveals to Kumiko and Hazuki that Haruka is only president because Asuka, despite her more outgoing personality, had passed up on it. 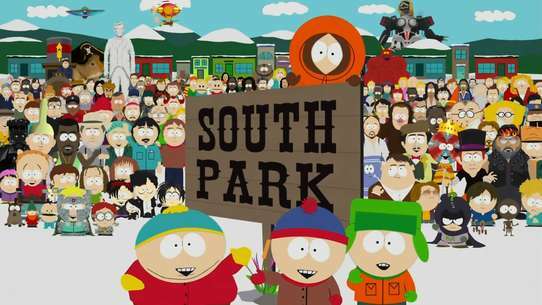 The band now has confidence in Mr. Taki, even agreeing to extra practice time after school. Aoi leaves early however, telling Kumiko that she has cram school. On the way home, Kumiko is surprised to run into Reina. While trying to make small talk, Kumiko unintentionally expresses her doubt at their chances of making Nationals, quickly taking it back. Afraid of offending Reina again, she is surprised to see her smile in response. 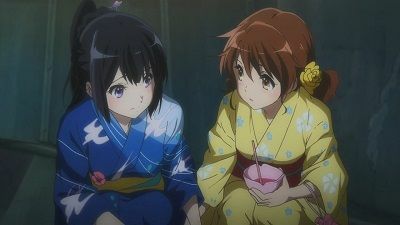 On the day of the festival, Kumiko runs into an old friend from junior high who reveals that Reina actually turned down an invitation from Rikka, a prestigious school, to go to Kitauji. Despite having to go after Rikka, the band's performance earns them notice from the crowd. Taki's deadline for Asuka draws near. She refuses to admit that she wants, more than anyone, to compete in the Nationals. Mr. Taki asks the euphoniums to play an additional section. While Asuka is quick to learn the part, Kumiko finds herself struggling to master the piece despite relentless practice. During an ensemble, Mr. Taki asks whether or not she will be ready by the competition; Kumiko confidently declares to him that she will. Encouraged by Reina and other members of the bass section, Kumiko continues to practice the part. 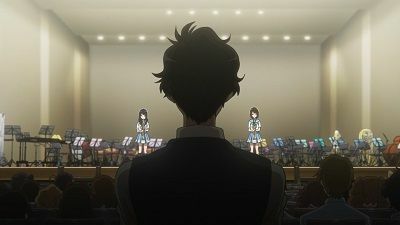 However, during a critique of the band's performance, Mr. Taki suddenly asks Asuka to play the part solo, leaving Kumiko feeling mortified. 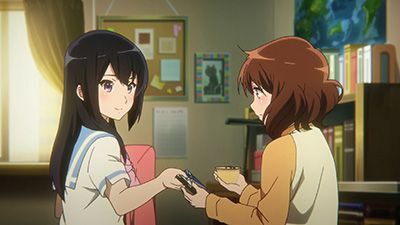 Attempting to cheer her up, Hazuki and Midori invite Kumiko out to eat, but neglect to notice that she has forgotten her phone. 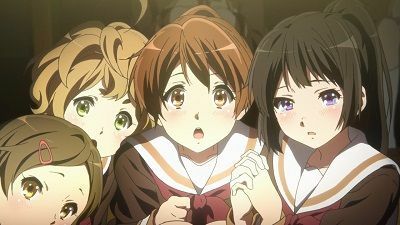 Running on the way home, Kumiko breaks down crying but finally realizes how Reina must have felt when they lost the concert band competition in junior high. 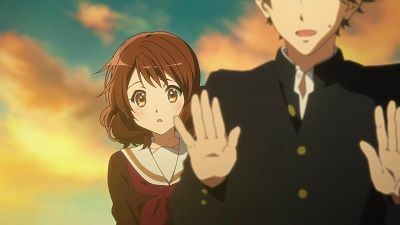 Returning to school to retrieve her phone, Kumiko runs into Mr. Taki, who reminds her of her promise to be ready by the competition and urges her to continue practicing. Realizing that she still has a chance to perform, Kumiko meets up with Reina to share with her the good news. After hearing Reina practice for the audition, Yuko is in disbelief, even privately conceding to Kumiko that she is indeed fit to play the solo. Meanwhile, Kaori attempts to gauge Asuka's opinion regarding her playing. Though Asuka remains evasive in her answers, Kaori decides that she would rather not know instead. The next day, Yuko confronts Reina and pleads her to throw the audition for Kaori's sake, who, as a senior, will not have the chance to play again. Reina, defiant as ever, declares that Kaori's circumstances have nothing to do with her and leaves. Before the audition, Haruka goes to see Kaori when Asuka refuses; likewise, Kumiko visits Reina and reminds her that in order to become something special, she must win. At the audition, Kaori plays first, but as Reina finishes her performance, it is clear to the band that Reina was the better soloist. However, when asked to decide by Mr. Taki, nearly everyone abstains from voting; only Yuko and Haruka vote for Kaori, while Reina similarly receives applause only from Kumiko and Hazuki. Faced with a tie, Mr. Taki asks Kaori to play, but, having heard Reina, she accepts the results and declines, leaving Reina once again as the soloist. 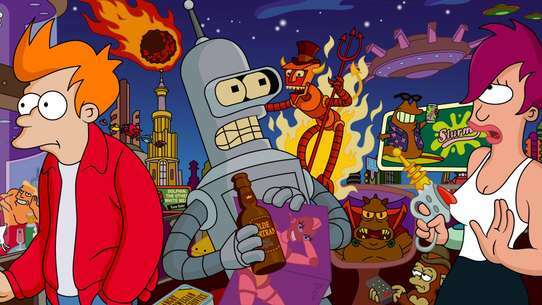 Despite still having reservations about Mr. Taki, the club decides to practice for their second ensemble. Mr. Taki engages the club in a variety of drills: having them run around the school and play their instruments, engaging the students in breathing exercises, and finally working with each section individually. 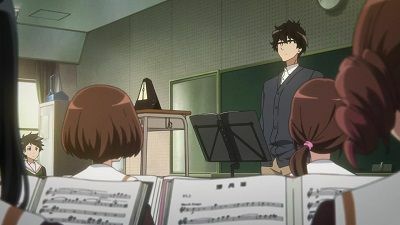 Kumiko and Hazuki overhear his strict treatment of the flute section, but is later surprised by his gentle demeanor while working with him in the bass section. 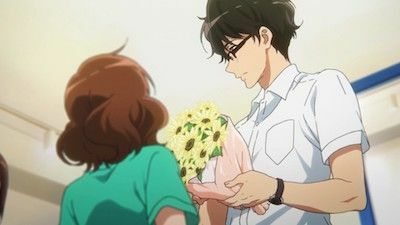 On the way home, Kumiko again runs into Shuichi, who tells her that it is Mr. Taki's first time advising a concert band. Reina, overhearing them, adamantly defends Mr. Taki, much to the surprise of Kumiko and Shuichi. 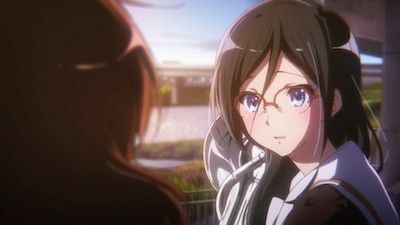 At school the next day, Kumiko awkwardly apologizes to Reina while also thanking her for having inspired her; she leaves in a hurry but expresses relief at finally being able to talk to Reina. On the day of the ensemble, the band's performance meets Mr. Taki's standards; he responds by affirming his commitment to the band's goals of performing in SunFes and making Nationals. La fanfare du lycée Kitauji entame son stage estival intensif avant le concours du Kansai. 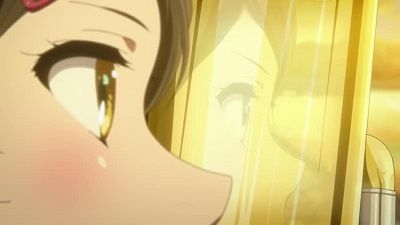 Kumiko essaie toujours d’en savoir plus à propos du refus d’Asuka de réintégrer Nozomi et compte bien respecter la promesse qu’elle a faite à la jeune fille. Nozomi finally meets Mizore. She learns, the hard way, why Asuka had been keeping her away. With Asuka back in the competition, the orchestra is just about set for the Nationals. Meanwhile, Kumiko tries to understand why Reina is upset at her. 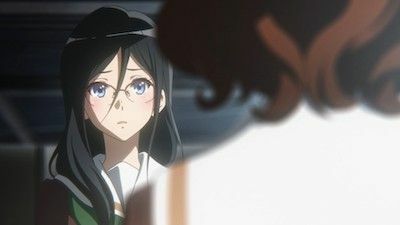 Midori feels guilt over having pushed Hazuki into the confession, causing Asuka to criticize her performance during practice and subsequently declaring her lack of interest in such non-band matters. Hazuki confronts Kumiko regarding her feelings for Shuichi, but Kumiko denies having such feelings. At home, Kumiko's older sister reveals to her that Mr. Taki is actually a famous music instructor. Meanwhile, Kaori expresses her desire to play the trumpet solo to Haruka, followed by a tense encounter with a practicing Reina. On the day of the auditions, Kumiko sees everyone practicing, including Natsuki. A brief moment of hesitation is quickly dispelled with words of encouragement from Reina. Kumiko's audition passes without incident, but as the results are later announced, it is clear that not everyone made it; among those out are Natsuki and Hazuki. All eyes are on Reina as she is selected as soloist over the favorite Kaori, much to everyone's surprise. Asuka's mother wants her to quit the concert band. This upsets everyone -- including her mother. 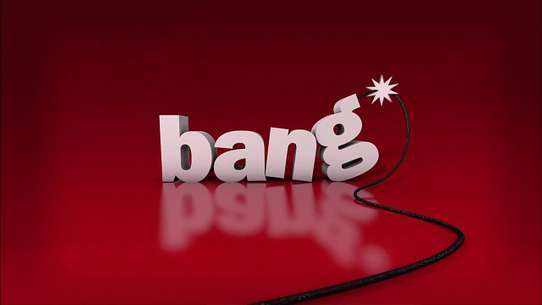 Mr. Taki reveals that he intends on holding auditions for the upcoming competition, much to everyone's surprise. 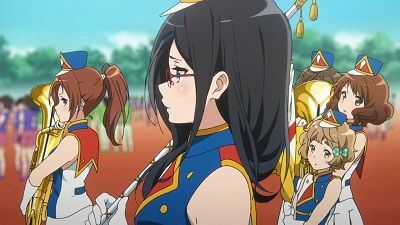 There is consternation in the band at the prospect of seniors not being able to play, causing Kumiko to recall an unpleasant memory from junior high. Meanwhile, the band learns what pieces they will be performing for the audition, as even the normally laid-back Natsuki begins to practice. Asuka attempts to motivate Hazuki, who expresses doubt at being able to make the cut as a beginner. 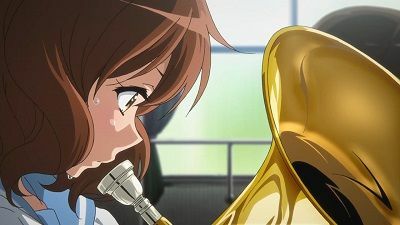 After trying different ways to help her, Kumiko realizes that Hazuki has never had the chance to play her tuba with others. Together with Midori, the trio play "Twinkle, Twinkle, Little Star", much to Hazuki's delight. As Hazuki is carrying her tuba home, she trips but is fortunately caught by Shuichi. 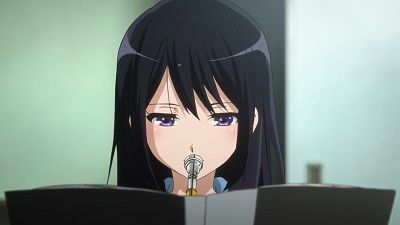 Aoi, seeing Kumiko practice with her euphonium, wishes her luck at the audition. It's the school festival at Kitauji High School. Kumiko's sister insists on quitting college, while Taki reveals some things about his past with his wife. 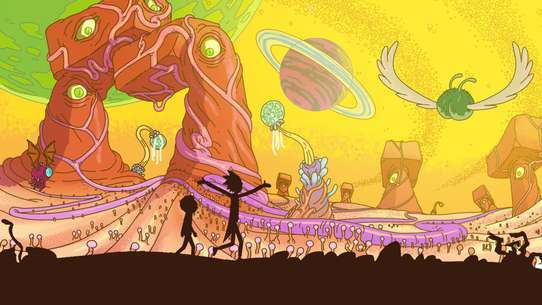 The band begins sectional practice as the new members select their instruments and are taught the basics. Hazuki decides to name her new tuba "Tubacabura" after seeing Midori name her bass "George". 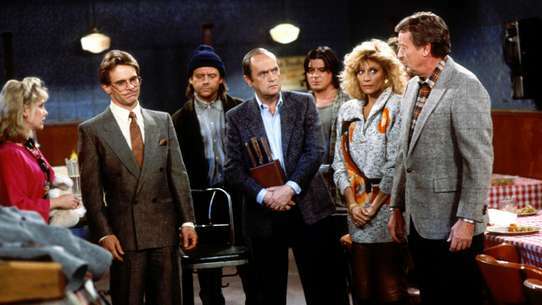 Mr. Taki instructs the band to let him know once they are good enough to perform in an ensemble; however, many sections neglect to take their practice seriously, preferring instead to focus on the upcoming Sunrise Festival, an important event that the concert band has traditionally performed at. Midori's question regarding the lack of second-year students is met with uncomfortable silences from the other upperclassmen in the section. The club's first performance as an ensemble goes poorly; Mr. Taki warns the club that unless they improve in a week, they should not even think about performing at SunFes, much less Nationals. As dissent towards Mr. Taki grows in the club, practice is cancelled while the section leaders discuss what to do. 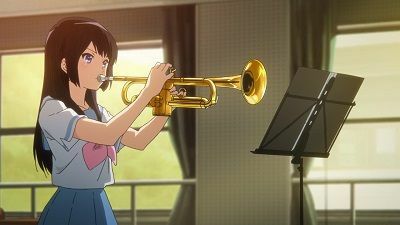 Reina, frustrated at the turn of events, yells out at the top of her lungs after playing a trumpet solo outside school, much to Kumiko's surprise. Having won first place at the Kyoto competition, Kumiko and the band are preparing to compete in the Kansai competition. A shadow looms over them when an old member, Nozomi Kasaki, enters the picture. Asuka invites Kumiko over for a study party. 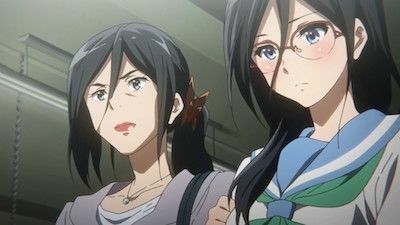 With Kumiko's sister quitting college and Asuka's band membership uncertain, Kumiko and Reina are forced to contemplate the role of music in their lives. As practice continues for the upcoming audition, Aoi still insists on leaving early for cram school, causing Haruka to worry. During an ensemble, Aoi is singled out for her performance; when asked by Mr. Taki when she will be able to play the part, Aoi stuns the club by announcing her sudden decision to quit, citing conflict with her studies. Kumiko tries to run after Aoi, but is overtaken by Haruka. Aoi explains the real reason she quit: having been unable to convince the other members not to quit the previous year, she would not let herself go to Nationals this year. Haruka blames herself for not being able to convince Aoi to stay and doubts her ability to lead the club, staying home from school the next day. Asuka temporarily takes charge, revealing her cold demeanor and uncompromising personality. After school, Kaori stops by Aoi's house to try to cheer her up, reminding her that she alone had the courage to lead the club, even when Asuka couldn't. The next day, Haruka returns to the applause of everyone in the club. During lunch, Hazuki suddenly asks Kumiko whether or not she is going out Shuichi, leaving her stunned. 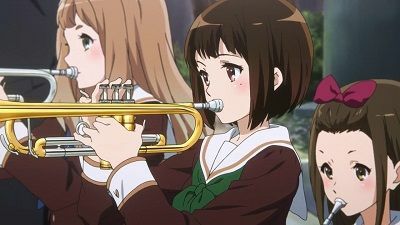 Euphonium player Kumiko Oumae inadvertently creates a rift with trumpeter and fellow band member Reina Kousaka upon losing their final concert band competition in junior high. On the first day of high school, she befriends classmates Hazuki Katou and Sapphire "Midori" Kawashima. Midori, who used to play the double bass, suggests that the three go check out the Kitauji concert band club. 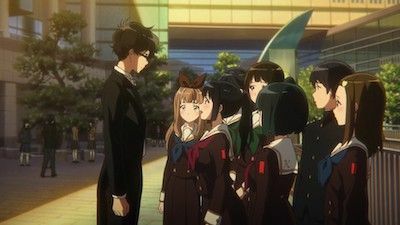 As they are being greeted by club president Haruka Ogasawara and vice president Asuka Tanaka, Kumiko is shocked to meet Reina again as the latter goes to join the band. 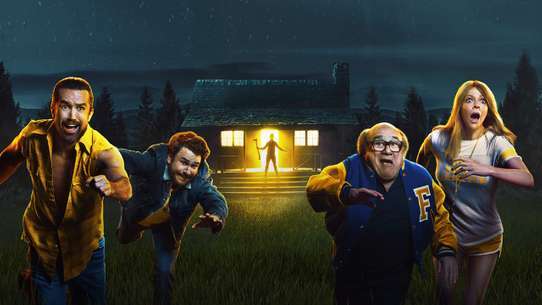 While struggling to come to terms with her earlier surprise meeting with Reina, Kumiko runs into childhood friend Shuichi Tsukamoto on the way home, who also tells her of his intentions to join. Though initially unsure, with encouragement from Midori and Hazuki (who has just bought a mouthpiece), Kumiko decides to finally join the band the next day. Despite not making the cut, Natsuki remains in good spirits and expresses her wish to play again next year, much to Kumiko's relief. Upon discovering that Mr. Taki had known Reina prior to their meeting at Kitauji, Yuko Yoshikawa, a second-year trumpet player who idolizes Kaori, publically accuses him of playing favorites in the auditions. Overhearing this, Reina angrily rebukes her, Natsuki and Kaori having to step in to prevent further escalation. Reina confides to Kumiko how she chose Kitauji because of Mr. Taki and that she loves him, much to her surprise. 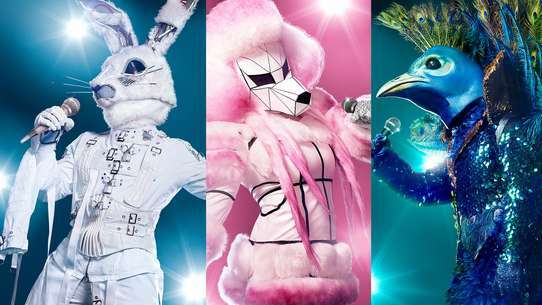 As the rumor that Mr. Taki held the auditions only so that Reina could be the soloist begins to spread, the mood of the band begins to drop. In response, Mr. Taki announces that he will hold second auditions for anyone who is interested in appealing, the results being judged by a vote from all band members. Kaori asks to redo the audition for the solo part, thus forcing Reina to have to redo her audition as well. Despite several attempts to break the ice, Kumiko remains unable to talk to Reina. After school, Haruka announces that it is time to assign instruments to the new club members. Due to the lack of contrabass players, Midori is automatically assigned the double bass given her previous experience playing at a prestigious school; similarly, Reina joins the trumpet section after an impressive performance to section leader Kaori Nakaseko. Hazuki selects the tuba after successfully fitting her mouthpiece to one. 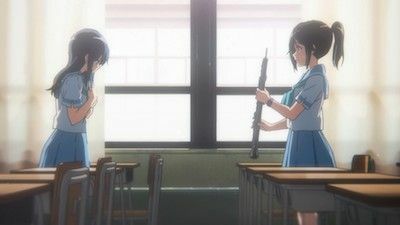 Kumiko, who wants to try a different instrument in high school, initially avoids the bass section; unfortunately, she is scouted by section leader Asuka after Aoi Saitou, an old friend of Kumiko, reveals that she has been playing euphonium since elementary school. 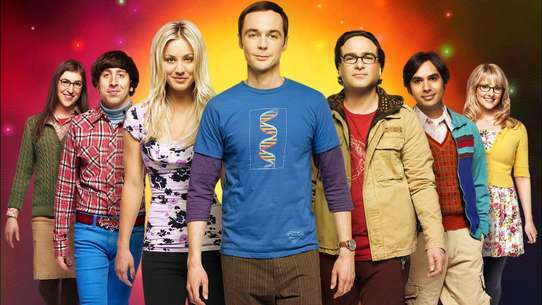 The next day, the club meets their new advisor Noboru Taki, who asks the members to decide on their goal for the year. 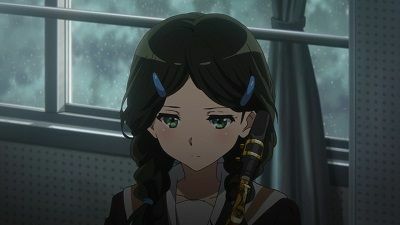 Though Kumiko is unsure of what she wants, the club overwhelmingly votes to work towards winning nationals in the upcoming concert band competition.